Since the late 1800’s, doctors in the U.S. have been recorded using marijuana to treat migraines, while older Assyrian manuscripts from the second millennium BCE recommended cannabis to “bind the temples. (1)” More recent studies have shown to have positive outcomes for migraine sufferers using medical marijuana, with decreases in frequency and intensity being heavily reported. In earlier times, cannabis was consumed via smoking of the leaves as this has been shown to provide the quickest release of desirable substances into the bloodstream. However, when digested, marijuana is said to have a longer lasting effect. Today, researchers and scientists are finding evidence that supports medical marijuana as a treatment for migraines, although the use of specific strains, formulations, and doses are still being evaluated. One of the most recent studies to evaluate the effectiveness of cannabis for migraines showed promising reductions in the amount of migraines per month as well as the cessation of migraines altogether. The study, Effects of Medical Marijuana on Migraine Headache Frequency in an Adult Population conducted by Skaggs School of Pharmacy and Pharmaceutical Sciences at the University of Colorado(2), evaluated 121 adults with a primary diagnosis of migraine headaches. The results were positive, with migraine frequency decreasing 10.4 to 4.6 headaches per month, with 39.7% of patients reporting favorable effects. The most common effect reported being prevention of migraine headaches with decreased frequency. For acute migraine treatment, inhaled forms of the substance were reported to abort the headache. Other studies have been conducted to determine how cannabis can aid migraine pain, with possible clinical endocannabinoid deficiency (CECD) (3) and activation of CB2 receptors (4) as potential explanations. Migraines have been shown to be related to endocannabinoid function and cannabinoids demonstrate dopamine-blocking and anti-inflammatory effects. 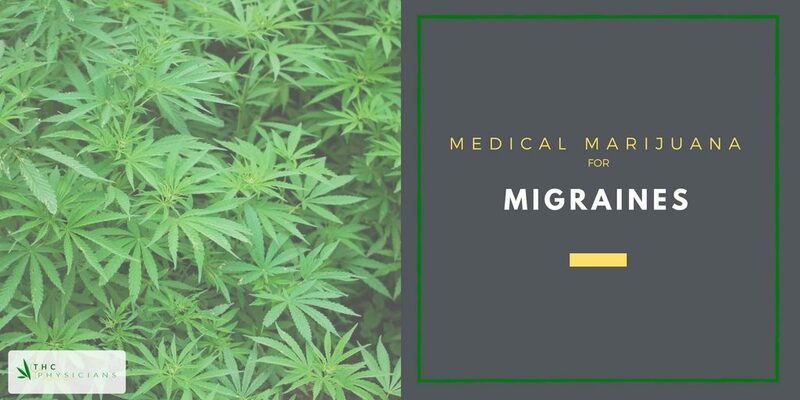 A central theme with the effectiveness of cannabis treatments on migraines are related to the endocannabinoid deficiencies displayed in migraine patients and the introduction of cannabinoid medicines that showcase therapeutic efficacy. In yet another study published even more recently (April of 2017), researchers concluded that “cannabis will emerge as a potential treatment for some headache sufferers. (5)” In The Use of Cannabis for Headache Disorders from the Department of Psychiatry, Center for Medicinal Cannabis Research, University of California, San Diego, researches sought to review historical prescription practices and examine preclinical literature exploring the role of exogenous and endogenous cannabinoids to alter headache pathophysiology. The historical evaluations revealed largely positive outcomes with patients reporting decreases in the frequency and intensity of their headaches. In some cases, headaches were cured entirely. Similar studies have been conducted in favor of cannabis for headaches, with researchers concluding more trials are needed to further the science behind the drug (6). While much of the evidence has been in favor of the usage of medical marijuana for the treatment of migraines, some patients have reported negative effects. In the University of Colorado study (7), two patients reported somnolence and another two patients reported difficulty controlling the intensity of the dosage. These negative effects were reported only by patients that were using edible marijuana, which was also reported to cause more negative effects than other forms. Headache concerns cost the public an estimated $14.4 billion dollars a year and cause a great degree of quality of life degradation. 10% of the population is said to experience migraines, with women two to three times more likely to experience the tension than men. It is believed that migraines are initiated in the brain and involve overactivation of sensitive areas in the head. Unfortunately, fewer than 50% of headache sufferers experience remission, and some patients’ symptoms get worse over the course of their lifetime. Despite its established therapeutic benefits, cannabis has been largely ignored as a treatment option for migraines. However, with the legalization of medical marijuana in many states such as Florida, migraine sufferers are benefitting from this time-tested option that can reduce frequency and intensity. Patients with migraines have shown positive results with the usage of medical marijuana. If you are interested in trying medical marijuana for migraines or are inquiring for a loved one, you should first seek out your state laws to determine the legality of the drug in your state, the types of medicine you can use, where to get it, and how much you need.